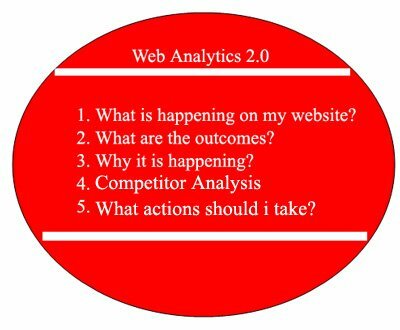 You all have probably heard of web analytics 2.0 at some point in your life and thought what it is all about and how it can help me. But what is web analytics 2.0? 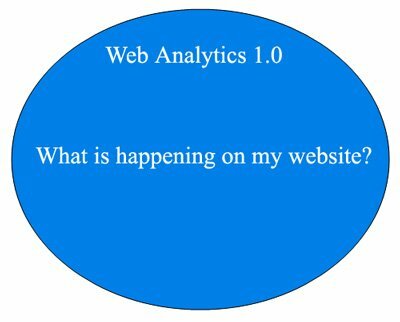 What is Web Analytics 1.0? Which pages were viewed etc. Even if you know what happened on your website, what exactly you can do about it? Nothing much, unless you go ahead and try to determine why it is happening on your website and what actions you can take to get the desired outcomes. 2. Why it is happening (like why people buy or don’t buy products from your website)? 3. Competitors Analysis- It helps in determine missing opportunities. 4. What actions should I take to get desired outcomes? Fortunately, majority of us stopped relying on the web analytics 1.0 framework long time ago and have started computing the impact of our marketing campaigns (like SEO & PPC) on our sales, leads and other business goals. But we still haven’t full adopted the web analytics 2.0 framework. Have we? For many of us, the number 1 way to increase sales and leads is to send more traffic to the website. Here lies the problem. As you acquire more traffic through different marketing channels (organic, ppc, email, social media) you need to spend more time and resources on content creation and marketing. Then at some point you realize that your company spends way too much on acquisitions (conversions) (By the way, have you ever calculated cost per acquisition for your organic search campaigns? If you haven’t then you should). We all know the conversion rate of our websites. But what do we do about it? Many of us tend to live in a world where the conversion rate is a universal constant and all we can do is increase the traffic. 1. Create more contents, target new keywords, and effectively use social media for links acquisition. Which we all do anyways (ignoring CPA and life time value most of the time). Conversion rate optimization is all about improving the sales and conversions of a website without increasing the ad spend or traffic (at least considerably), to get the most out of our present traffic. Yet we tend to overlook it and spend majority of our time in acquiring more traffic through keyword research, content marketing and social media. Why traffic driven approach is hurting your business? 2. You are most likely acquiring low value customers who buy once or maximum twice in their lifetime. 3. You are not spending enough on acquiring most profitable customers and thus loosing big on revenue and net profit. Why best customers generate more profit than average or low value customers? Let us suppose that your target market is US. So your average customer can be anywhere from US. Let us also suppose that after analyzing one year data you found out that people from New York City bought 2 times more than an average visitor to your website. They tend to spend 30% more than average per order. So now you know where your best customers live. Your cost per acquisition will remain high if you target whole of the US through search marketing or any other ad campaigns. So it is pretty obvious that your total spend is going to be higher for acquiring average clients. So by directing your marketing efforts in acquiring more profitable clients, you can increase your revenue and profit even without increasing traffic or spending more on content creation and marketing. Now the big questions that comes up is, why people from New York City are our best clients, what they are purchasing and what we can do, so that they buy more. If you can get answer to these questions, you can increase your sales within few weeks without increasing website traffic or spending more on content marketing. And this should be our aim as an inbound marketer. How conversion driven approach will help you as a webmaster/SEO consultant/agency? You can save lot of time and money on content development, marketing and traffic acquisition by running conversion driven campaigns instead of traffic driven campaigns. All of this may sound so obvious to me and you but we still don’t pay attention to improving the conversion rate of a website or lifetime value of a visitor. Traffic acquisition is becoming more expensive and challenging with each passing month/year due to rise in labor cost and market saturation. At some point your cost per acquisition will become so high that you will no longer be profitable and soon be out of business. According to Avinash, the single most missing critical piece in today’s web analytics is ‘answering why’. Why people do what they do on your website? For e.g. Why people buy products from my website? Why people don’t buy products from my website? What should I do so that people buy products from my website? The answer is not ‘increase the traffic’. Are we spending enough time and resources in getting answers to the ‘why’ questions? 1. 80% of your sales come from 20% of your visitors. So what you need to do is, to determine those 20% of everything and work relentlessly on them. You can’t sell each and every product of your client in each and every location of your country, so why spread your marketing efforts and resources too thin by trying to be visible everywhere for everything you sell. Step-1: Determine your business objectives. Whatever you want to accomplish through your website can be your business objective. It can be sales, leads, branding, user engagement etc. Step-2: Determine your Goals – Goals are specific strategies you use to accomplish your business objectives. For e.g. we will increase our ad spend in this region to improve sales or we need to work on ‘average time spent on site’ to improve user engagement. Step-3: Determine your key performance indicators (KPIs) – KPI is a metric that helps you in understanding how you are doing against your business objectives. For example if increasing user engagement is one of your business objective then repeated visitors is a good KPI. So if we have good KPI, it also means that we have bad KPIs. For e.g. page views is bad KPI, exit rate is a bad KPI. So you need to be careful while selecting KPIs. Learn more about KPIs directly from Avinash. Step-4: Set your targets – Targets are numerical values through which you measure your success or failure. As a marketer you must know what is going to be counted as success and what is going to be counted as failure. Without targets, no goal is unachievable. Your targets must be SMART (Specific, Measurable, Attainable, Relevant and Time Bound). For e.g. ‘increasing the traffic of the website’ is not a SMART target. Increasing the traffic of the website by 25% in the next 6 months is a SMART target. You must create monthly, quarterly and yearly targets. Step-5: Segment your data before you make business decisions – The aggregate of any metrics is useless. For e.g. the overall conversion rate of a website is a useless metric as you can have 100 % conversion rate if the individual conversion rate of your 5 goals is 20%. Moreover you don’t get any useful insight when you look at aggregates or averages. In order to get useful insight you have to segment the data. The more you can segment it the more useful and actionable insight you can get. For example it is far more useful to know that majority of your sales come from New York than from US. It is even more useful to know that majority of your sales come from upper middle class Hispanic population in Brooklyn.